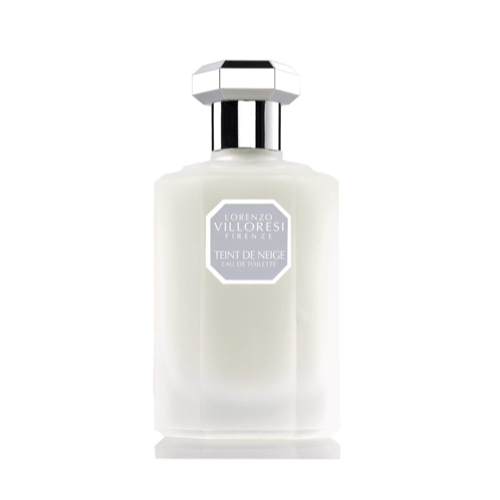 Teint de Neige (Colour of Snow) is an edition from 2000, a perfume of delicate rose embraced by powdery notes. The perfume is available as EDT, Perfume, perfume Oil, as well as in a collection of accompanying products: body oil, bath oil, body cream, body lotion, foam bath, scented bath salt, liquid soap and soap. Perfumer is Lorenzo Villoresi.